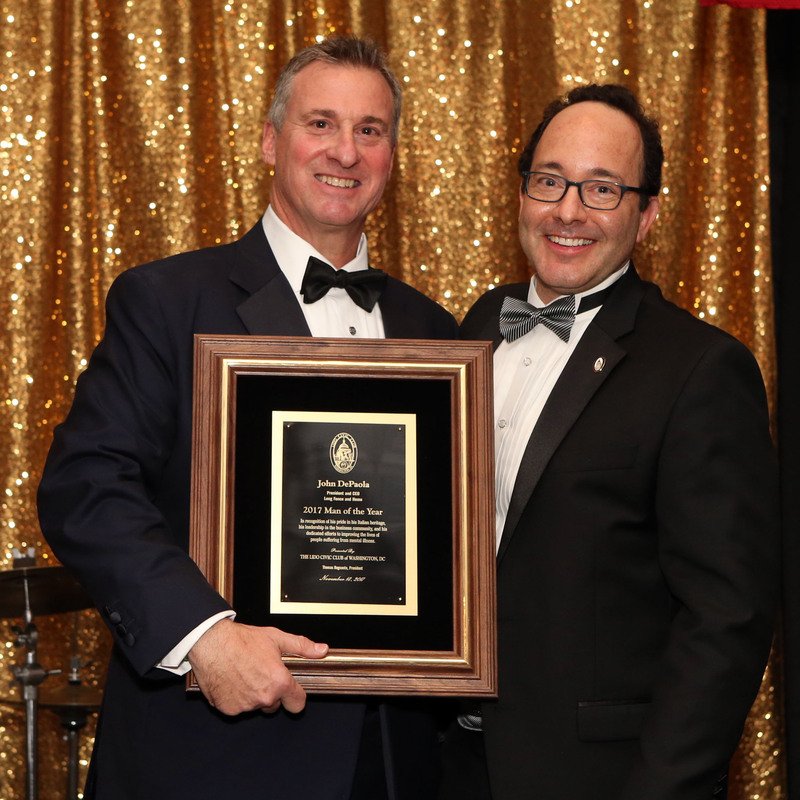 Lido Civic Club Honors Exceptional Leaders in Business, Government | Ciao Washington! 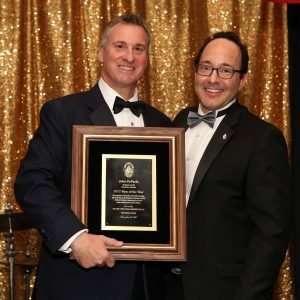 At its 88th Anniversary and Past Presidents Gala, the Lido Civic Club honored as its Man of the Year local businessman and philanthropist John DePaola. Lido bestowed its National Public Service Award on public servant Ronald Vitiello. DePaola is the CEO of Long Roofing and the founder, with his wife Jill, of the Bo DePaola Family Foundation in memory of their son. The Foundation helps raise awareness and break the stigma of various forms of mental illness. DePaola is a son of a former Baltimore police officer, and was raised in a tightly-knit Catholic family of Italian descent. In accepting the award, DePaola recounted the hard work of his parents, grandparents, and all immigrants, who sacrifice for the chance at a better life. Vitiello, who has had a long and distinguished career as a U.S. Border Patrol agent, was appointed Chief of the Border Patrol earlier this year. He is currently serving as Acting Deputy Commissioner of U.S. Customs and Border Protection at the Department of Homeland Security. The Master of Ceremonies for the evening was ABC News political contributor Tara Setmayer, who recounted that she traces her family roots to Sicily. Fr. Ezio Marchetto, pastor of Holy Rosary Church and a Lido Club member, delivered the invocation. The back-tie event, held at the Bethesda Country Club, was chaired by Paul Biciocchi, with the assistance of fellow Lido members Tom Stallone and Lory Clavelli, among others. Biciocchi was recognized by Lido President Tom Regnante for his outstanding work in chairing the committee that organizes the annual Gala. More than 250 guests attended the sold-out event. Profits from the gala are used to fund the Lido Civic Club Scholarship Program, which since 2004, has provided more than $577,000 in college scholarships to deserving Italian-American students from the local area.